Iowa Holiday Travel Dangers Include More Than Drunk Driving | Hupy and Abraham, S.C. Drunk driving is a serious risk during the holiday season. Holiday parties, celebrating with friends, or having a drink during the stress of the holiday season can put more drunk drivers on the road and put everyone at risk. The risk of drunk driving in December may be increased—but it is not the only risk that motorists face during the holiday season. Drowsy drivers. In addition to the responsibilities drivers have all year long, many drivers are out shopping for gifts, shopping for party supplies, attending parties, and visiting friends and family. The holiday season can be magical, but it can also be exhausting. Distracted drivers. With so many errands to run, drivers may try to catch up on work calls, call friends or relatives, or multitask behind the wheel. Rushed or pressured drivers. There is a lot to do and not a lot of time. Drivers may be more aggressive as they fight for parking spots or try to reduce the time they spend on the road. Other risks, such as crowded streets and snowy or icy conditions may also be present at this time of year. Car accidents are stressful and may take some of the joy out of this special season. However, you may be able to take action to make sure that your car crash doesn’t change your whole future. Specifically, you can schedule a free consultation with an experienced car crash lawyer who will review your potential claim and advise you of your legal rights so that your potential financial recovery is protected. You can contact our law firm any day of the year—at any time of the day or night—for help. 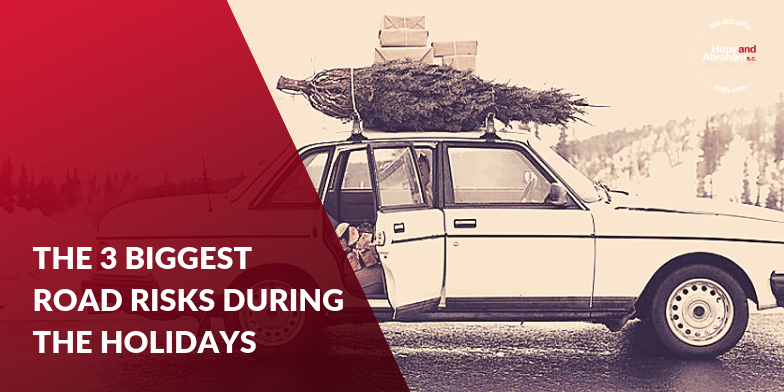 Don’t let the stress of a crash injury ruin your holiday season. Instead, get the information that you need to plan for your future. Call, text, start a live chat, or email us today to learn more and to schedule your free initial consultation in our Cedar Rapids, Des Moines, or Quad Cities office or in a location that is convenient for you.